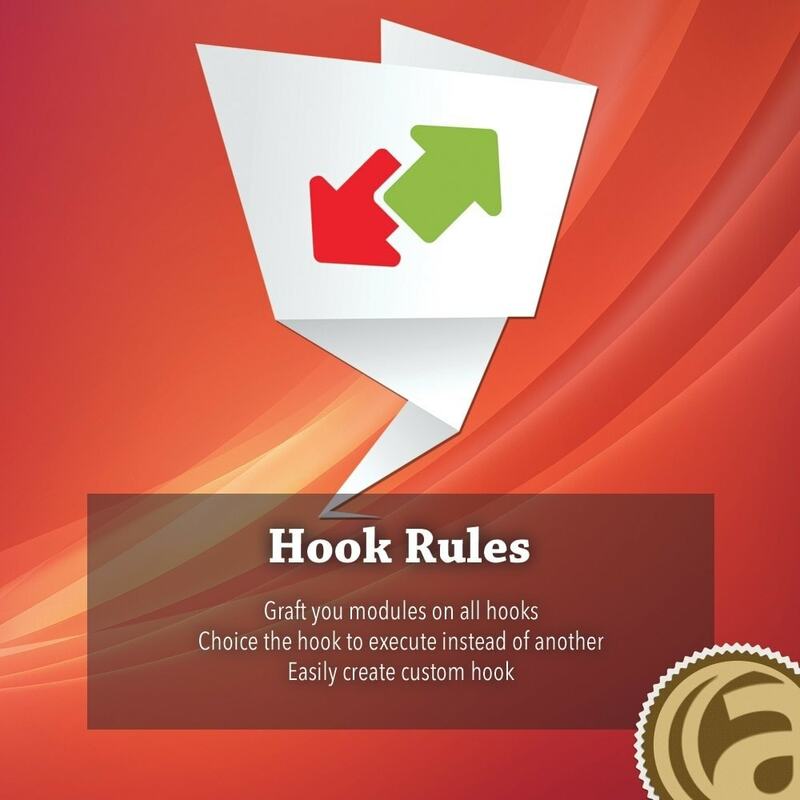 The Hook Rules module allows you to easily place any module to a desired hook. Technical intervention will not be necessary to choose the layout of your modules. With this module, there are no more tedious technical interventions for neophytes or overloads for advanced developers. 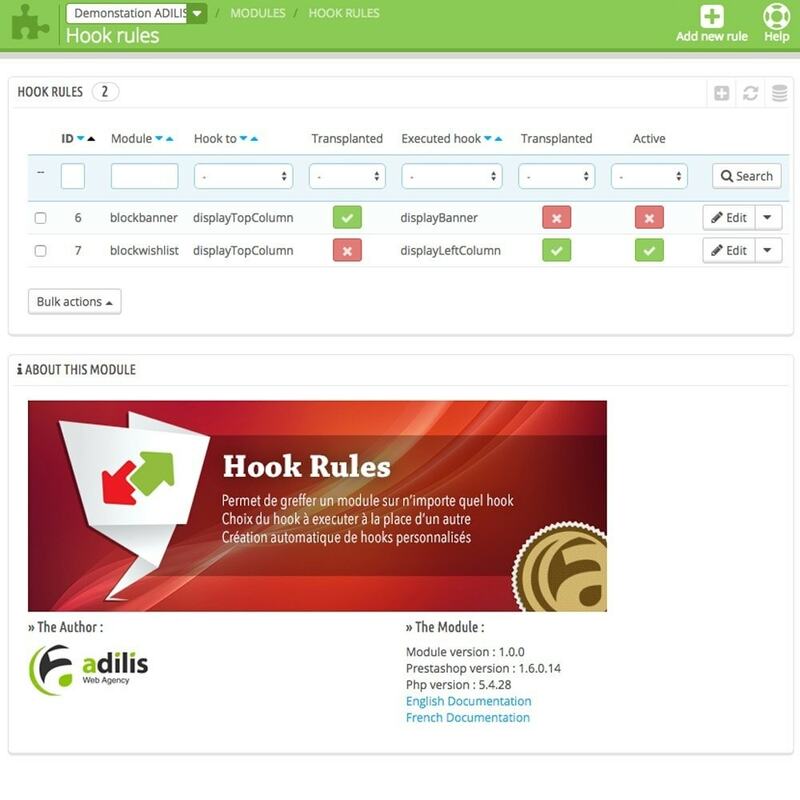 This module allows you to easily manage replacement hooks for a module with the simple interface; create rules to place a module on a hook for which it was not initially intended for. Many modules are often placed at the discretion of developer and not according to your theme or desire. Take control of your shop! Automatize the printing of your shipping labels and save time with your shipping process. Just print and stick on packages you want to deliver to your customers. Quickly manage your exchanged products. Select the product to be returned and the product that will replace it, confirm, and the module will take care of it all. Requesting payment of the balance from your client if necessary. 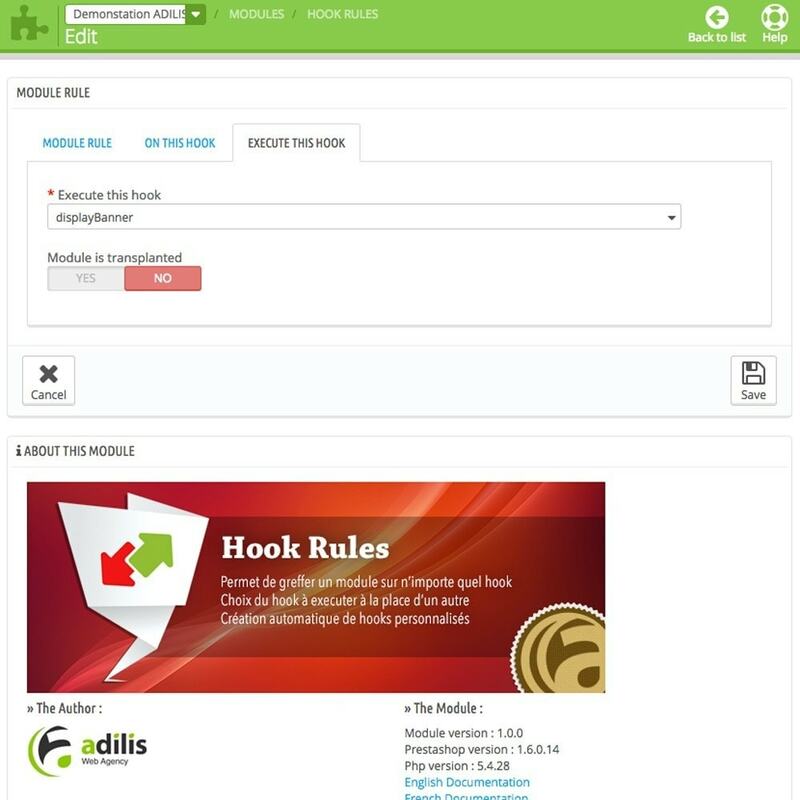 HTML Content module allows you to easily place HTML contents or simple images anywhere on your desktop without technical knowledge in developing. 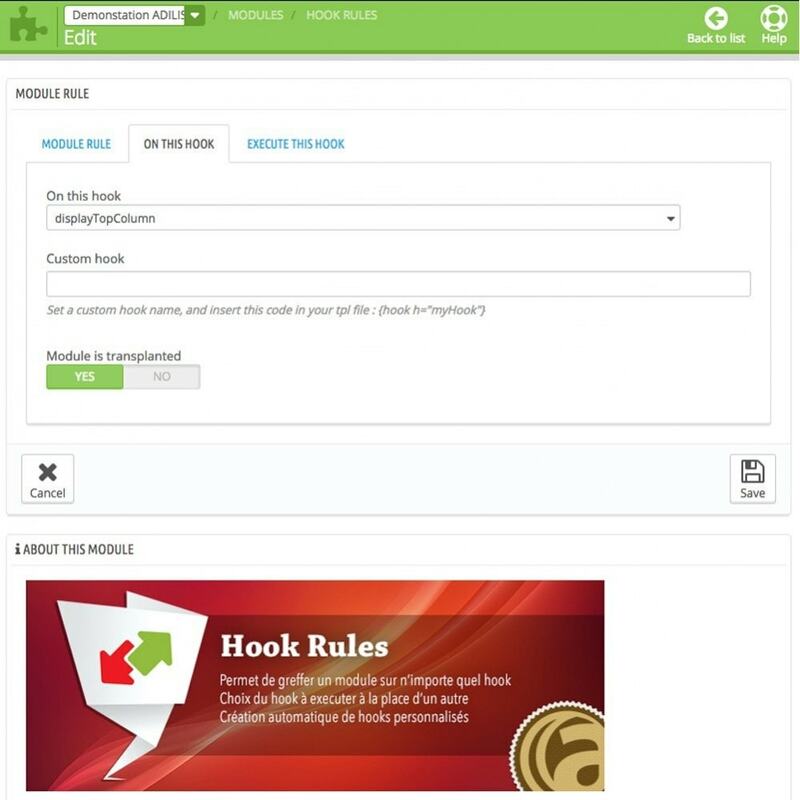 Use predefined effects to attract the attention of your client on your offers.